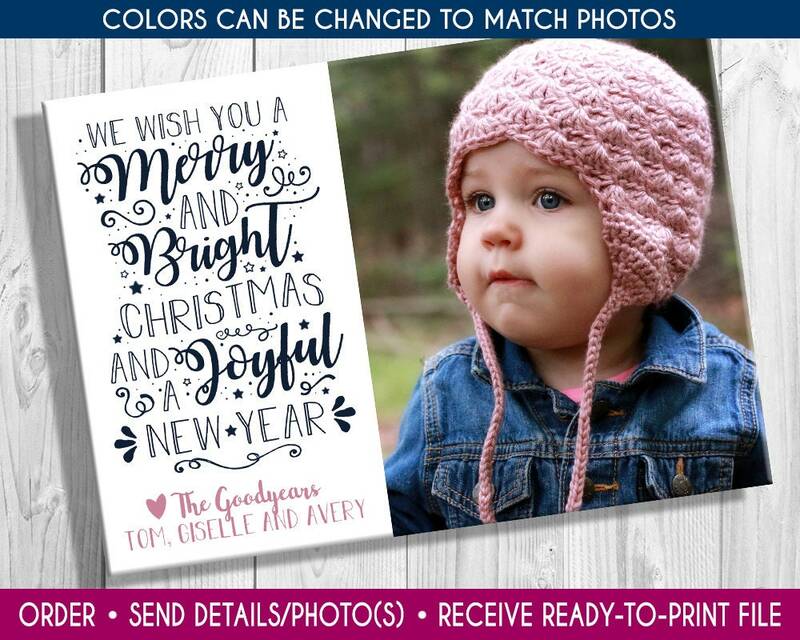 It is my utmost goal to make sure that you are happy with your finished card. Our customer service is STELLAR!!! PLEASE read the below instructions and details before purchasing! This listing is for a DIGITAL FILE ONLY customized with your details and photo(s). This is a print-yourself file (sent as a jpeg - standard digital photograph file type). I do not offer printing services at this time. If you have any CHANGE REQUESTS TO THE ORIGINAL DESIGN - font, color, etc. - Please CONVO me before placing order. Changes requested after this time may be subject to additional fees. Scroll to the bottom of this page for my FAQ section if you have any further questions. Your order will be customized with your details/photo(s) and a digital proof will be emailed to the email address on your Etsy account. My normal TURN-AROUND TIME IS 1-2 DAYS from receipt of all necessary details and photo(s). TO PURCHASE, please add this listing to cart and then provide relevant card details in the notes to seller comment box in the shopping cart. CHOOSE your file size for printing during checkout. PHOTOS can be emailed to me at jen [!at] mommybraindesigns.ca. Once you are HAPPY with your file, you can print the high resolution file to print at home, at a photo center, or local/online print shop (Costco, Vistaprint, Shutterfly, Staples, etc.). © Copyright Mommy Brain Designs. Please do not copy. Jenn had the edits back in my inbox within 12 hours of ordering, and most of those 12 hours, she would've (should've?) been sleeping! Incredible service and fantastic product. Thanks so much, you're a rock star!